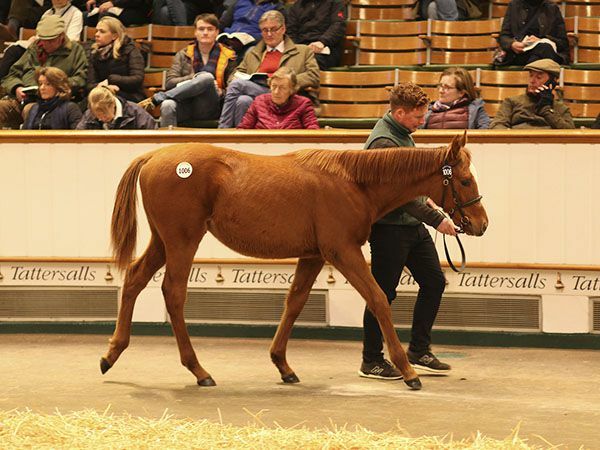 It was a record-breaking day on the third day of the Tattersalls December Foal Sale with the highest priced filly foal in the World this year, nine lots selling for 500,000 guineas or more and a record-breaking turnover for a session at this fixture. 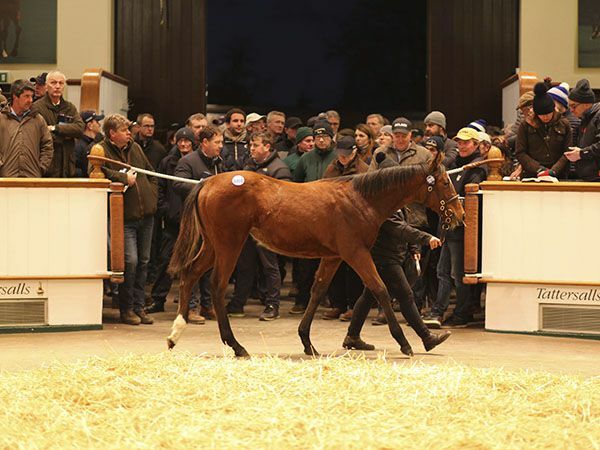 A total of 172 lots sold for 21,136,500 guineas at an average of 122,887 guineas and a median of 70,000 guineas. Turnover was up 24% on last year’s corresponding session whilst the average and median rose 22% and 8% respectively. Consigned by New England Stud, the full sister to three-time Group 1 winner DECORATED KNIGHT is from the wonderful family of Champion sire and racehorse GIANT’S CAUSEWAY as well as dual Guineas winner GLENEAGLES. "Saleh Al Homaizi is moving away from some of the horses – not all – and Imad was very keen to retain this filly. The DUBAWI filly out of the Listed winning HIGH CHAPARRAL mare BAISSE caught the eye of Anthony Stroud who went to 725,000 guineas to secure the well bred foal from eventual underbidder Crispin de Moubray. 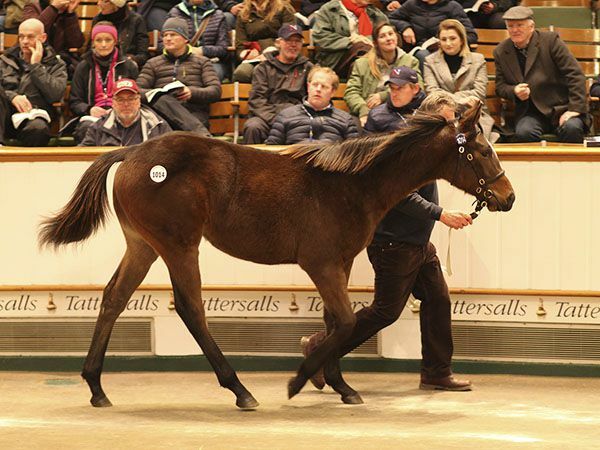 Two FRANKEL fillies lit up the ring at Tattersalls on Friday, selling for 700,000 guineas apiece. 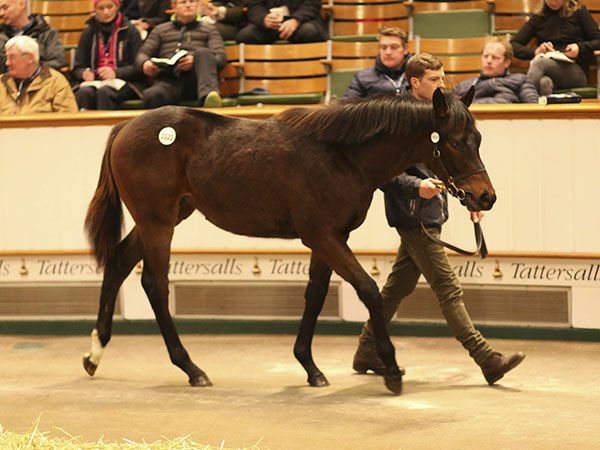 The first of those was the daughter of the Group 3 winning FANTASTIC LIGHT mare MIDDLE CLUB who was knocked down to Hugo Lascelles for 700,000 guineas. Consigned by Jeanette McCreery’s Stowelll Hill Stud on behalf of the Middle Club Team, the filly’s dam MIDDLE CLUB was bred by Stowell Hill Stud, but sold at the Tattersalls December Mare Sale back in 2010 for 280,000 guineas to race in the US before being repatriated. "But she came up for sale and Bob bought her back – we put together a group of five people to own her." The pedigree of MIDDLE CLUB has received some significant updates this year with her half-sister ANNA NERIUM winning the Group 3 Supreme Stakes. Another sibling, COPLOW, is the dam of the 1,000 Guineas winner BILLESDON BROOK and the Listed winner BILLESDON BESS who is catalogued as Lot 1896 at next week’s Tattersalls December Mares Sale. The Juddmonte resident FRANKEL has made a sensational start to his stud career and the second of his daughters to realise 700,000 guineas during Friday’s session at the Tattersalls December Foal Sale was the filly out of the Group 3 Ballyogan Stakes winner DIVINE. The Voute Sales consigned daughter of DIVINE was knocked down to Juddmonte Farms’ stud Director Simon Mockridge.